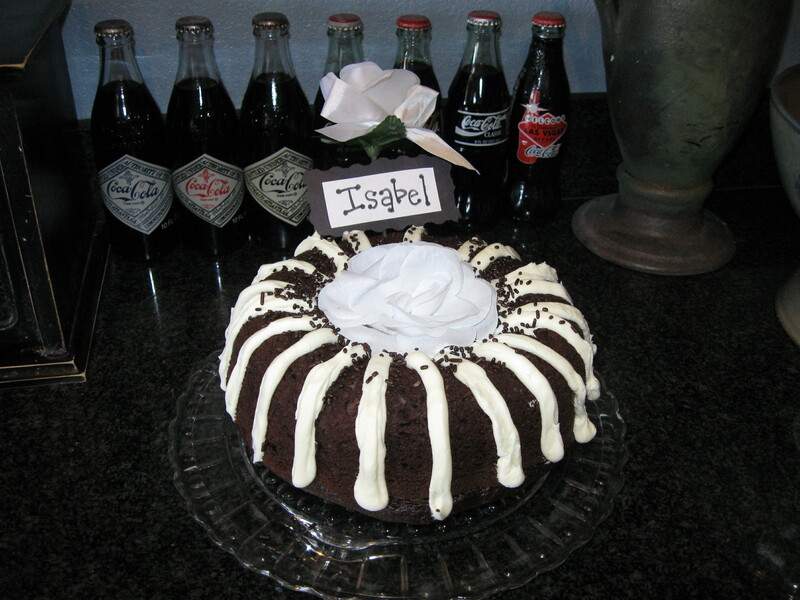 Happy Birthday Isabel! I can't believe my little girl is seven. She is so independent and such a little lady. This morning she woke up to a note leading her on a treasure hunt to find her present. 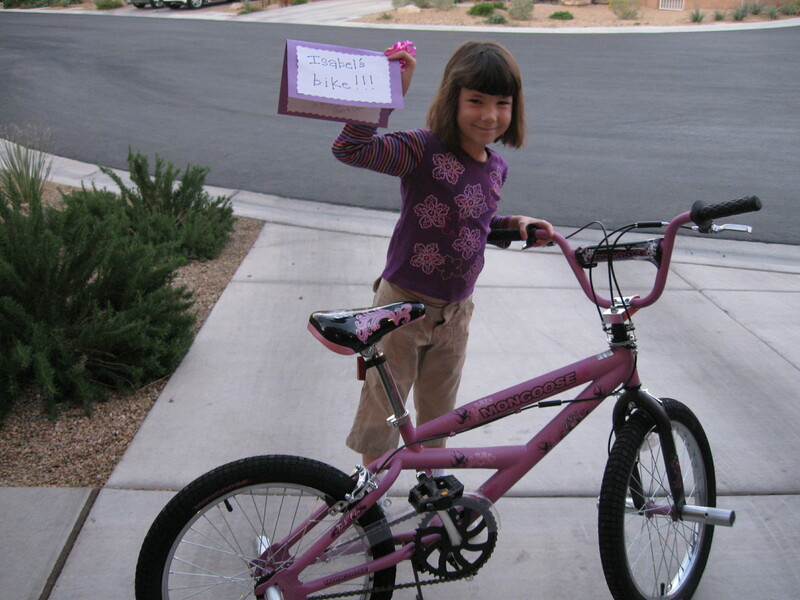 The clues led her to her new bike! She has been riding Luke's very small boy bike with a flat tire for a long time now so we thought a new bike was long over due. We were going to get her a "Nothing Bundt Cake" but when I went on their website and saw how expensive they are (AND that all they are is a bundt cake with fake flowers stuck in the center) I decided to do my own. Now I know it is very sloppy and that my good friend Erin who makes beautiful cakes will probably laugh, but it is really the first fancy cake I've ever made! (fancy = made with a store bought mix with store bought frosting squeezed out of a ziploc baggie, sprinkles thrown on the top with some dollar store flowers) Oh, but most important, Isabel's favorite colors are black and white and she thinks it's the prettiest cake ever, so what else matters, right!? Tonight Isabel and I will meet her friend and her friend's mom for dinner and then a movie!